A handful of new reports provide new insights on the area's thriving growth and development. 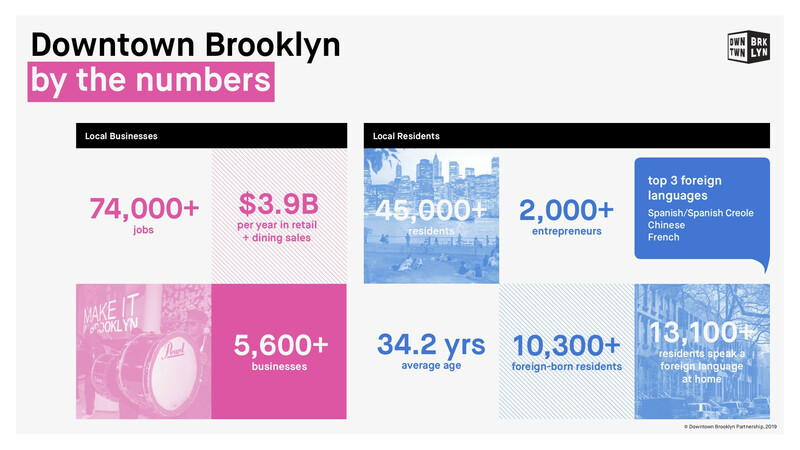 DBP’s latest report, Downtown Brooklyn: Quick Facts (sample below), summarizes key facts and figures describing Downtown Brooklyn’s residents, businesses, assets, and recent economic growth. Another recently released report Innovation, Talent, Culture: Downtown Brooklyn’s Economic Growth, tracks employment and firm growth between 2010 and 2015. 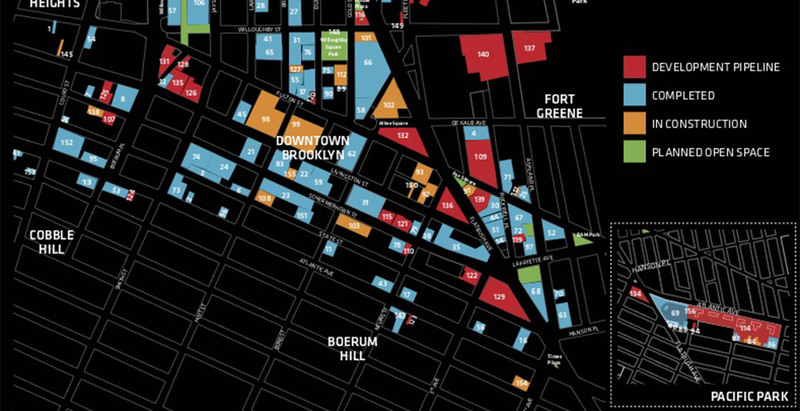 With an emphasis on the leading sectors of Tech + Information and Arts + Entertainment, the report also highlights data on Downtown Brooklyn’s residential population, labor force, and commercial real estate market. A supplementary piece, Why Downtown Brooklyn (sample below) demonstrates Downtown Brooklyn’s competitive advantage as a premier office district for NYC, regional, and national tenants. There’s another useful resource for anyone looking for a database of completed, under construction, and pipeline developments - DBP’s Development Matrix and Map (below). The report is updated quarterly with project deliveries by phase and type, and geographic locations of all projects completed since 2004. Find our latest publications, as well as local market reports, on our Research + Statistics page. To learn more about these resources, please contact DBP’s Real Estate team at realestate@downtownbrooklyn.com.